or for my job as Color & Material Designer in car industry. I was looking for inspirations, colors, graphical ideas or just beautiful things. Then we started building our house. We needed ideas for more or less everything. The board HOME-interior design inspirations is still one of my favoristes and I pin on it regulary. Now that I am business owner myself of course Pinterest opened another page for me. First thing was to change my private in a business profile. 1. You can verify your website and much more people will visit with rich pins! 2. Get access to Pinterest analytics. Which is just awesome! 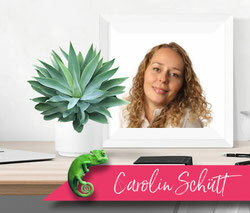 Because you get the opportunity to understand what's going on with your Pinterest profile! Which pins are repinned a lot? Which are bringing people to your side, including lots of traffic of course. 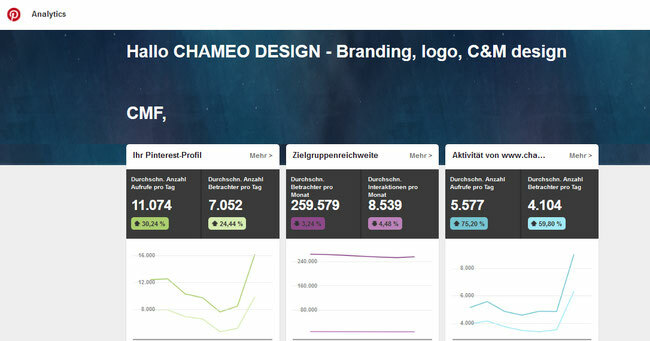 For CHAMEO DESIGN-Branding & CMF Design almost 50% of our traffic is coming over Social Media, mainly Pinterest. 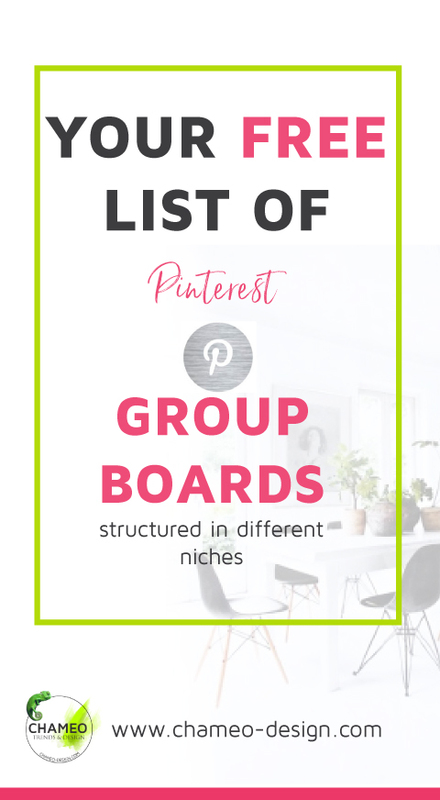 Pinterest Group Boards especially those with 200+ people on it and regular pinning and repinning are really the key! Please read the rules of the group boards carefully. The owner of the boards needs to confirm and add you to the board. To write a message to somebody on Pinterest you need to follow at least one of his/her boards, plus he/she needs to have your email adress. Click below to get exclusive content straight to your feed. ...for keeping in touch! Get free access to our design & branding trends for limited time only. 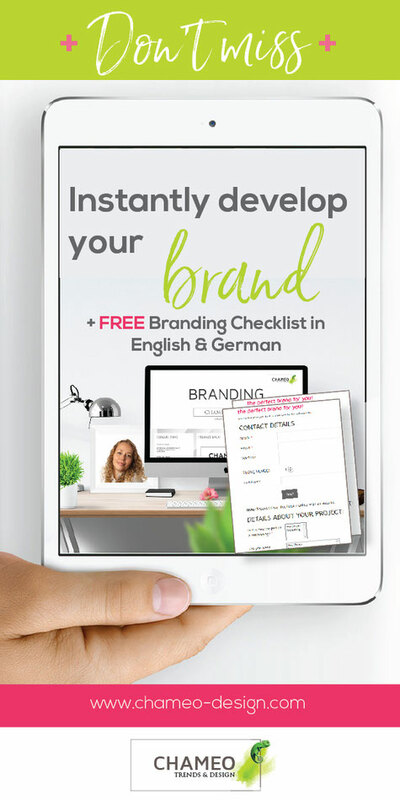 How to instantly start your branding for your blog or biz. What is branding by the way?